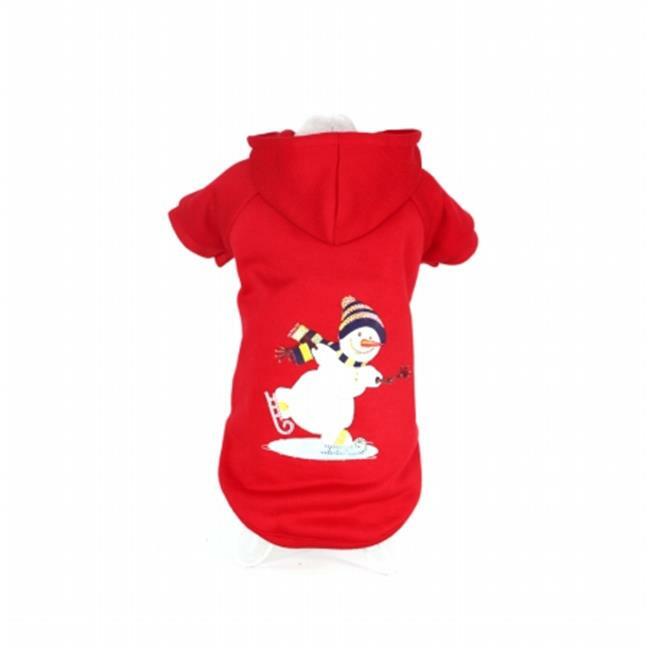 The Pet Life LED Lighting Holiday Snowman Hooded Sweater Pet Costume features a small and lightweight inner stitched compartment pouch containing an LED On and Off switch which controls the lights on the backside. This fun Holiday costume will help your pet stand out in style, fun to wear in the dark. Outershell is composed of a comfortable Polyester and Cotton blend. Features belly Fabric Hook and Eye enclosures for convenient on and off access. Features a Leash Slit holder at the back-side.